The Becoming Forest series is an extraordinary body of work that explores the experience of moving through a marked forest landscape, and the altered/heightened perception of surfaces, forms and space. 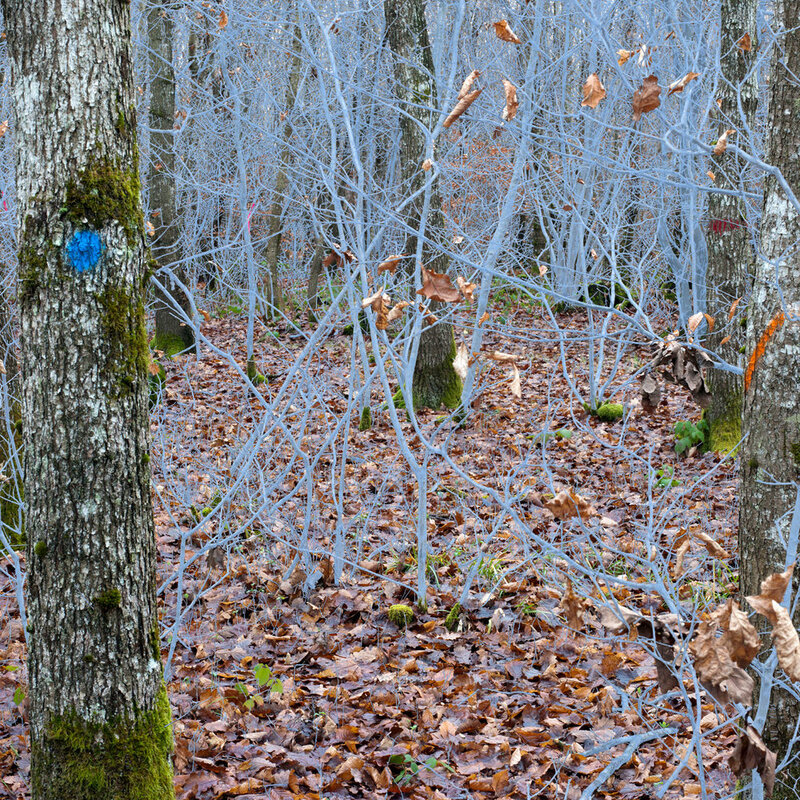 As with her earlier work, Sear's gesture of the hand is visible, where she has traced the lines of new forest growth, using a digital pen and tablet. 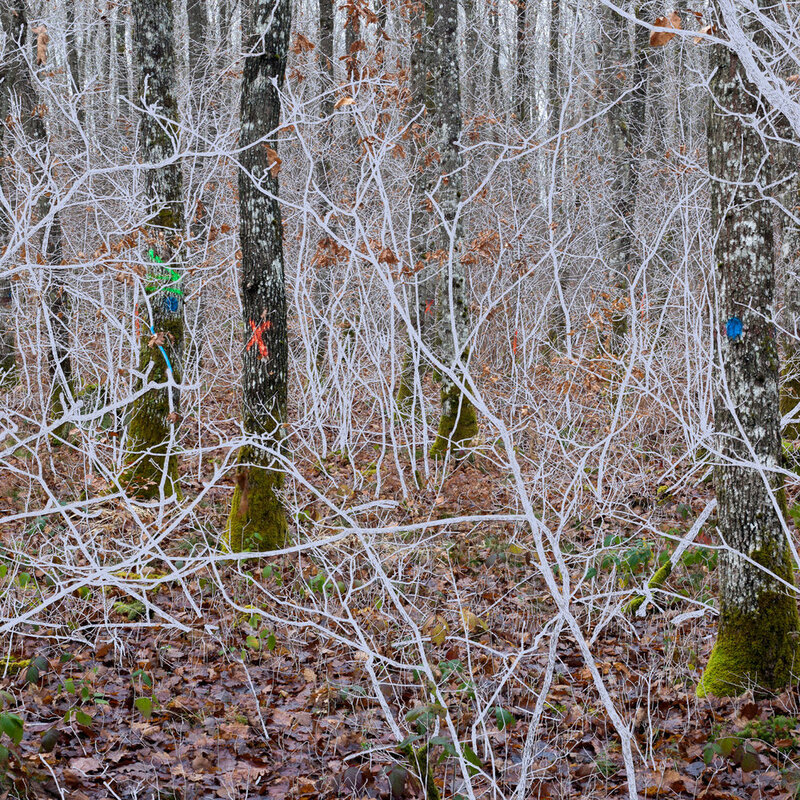 The chaos and entanglement of these hand drawn lines that follow the actual forest growth, contrasts with the geometric neon pigment marks spray-painted by the foresters. The artist draws comparison to the lines of the skin of the hand, or the veins of the interior human body. Through her intervention, Sear reanimates the photograph, though the process of touch, and by referencing the dye used in medical imaging, to enhance what is barely visible to the human eye. This is a strongly grounded, and ongoing investigation of bringing the body back into the act of looking, rendering figure/body/environment as inseparable. Thank you for your interest in the artwork of Helen Sear. We'll respond to your inquiry as soon as we can.